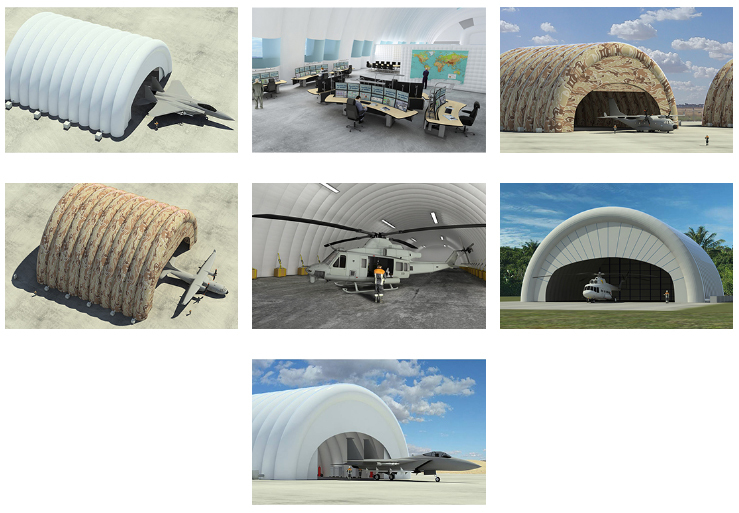 NEDAERO is distributor of inflatable hangars of BUILDAIR. BUILDAIR designs, builds, installs and maintains large hangars for aeronautical and industrial applications. From the smallest private aviation jets or helicopters, to the largest commercial aircrafts, including military vehicles, satellites, etc. BUILDAIR hangars are 100% customizable for the fleets and specific requirements of every client: sizes (width, height, length), colours, resistance to environmental conditions (rain, wind, snow, sand storms, etc. ), internal conditions (lighting, humidity, dust-clean environments), additional installations (lighting, heating, air conditioning, etc. ), no foundation systems required (just shallow anchoring systems), fire resistance of the materials, etc. Airbus: A300, A310, A318, A319, A320, A321, A32X, A330, A340, A350, A400M, C212, C235, C295, etc. Eurocopter, Airbus Helicopters: NH90, Tigre, AS, EC, etc. Boeing: B707, B717, B727, B737 (B737CL, B737NG), B747, B757, B767, B777, B787, C17 Globemaster, etc. Agusta Westland helicopters: AW, Apache AH, ICH, etc. Bombardier: Learjet, Challenger, Global, Global Express, XRS, C Series, C100, C300, CRJ, CRJ100, CRJ200, CRJ700, CRJ900, CRJ1000, Q Series, DHC, Dash8, etc. Embraer: E-Jet, E170, E175, E190, E195, E120, ERJ135, ERJ140, ERJ145, Lineage, Legacy, KC390, C390, etc. 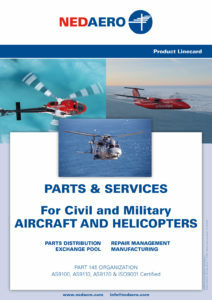 Other helicopter manufacturers: Sikorsky, Mil, Euromil, etc. Other aircraft manufacturers: Cessna, Antonov, ATR, Avro, Fokker, Gulfstream, Tupolev, Dassault, Lockheed, Alenia, etc. Color presentation: BUILDAIR structures can be produced in any color and company logo. Cost: 3 to 4 times cheaper than solid building. Delivery: a hangar with 45m (148 ft) width and 62m (203 ft) long (around 2.800 m2 = 30,100 sqft), can be operative in around 3 months, much less than the lead times of alternative structures. Door modules: There is a wide variety of doors to close BUILDAIR hangars, ranging from static to retractable and mobile: 3 types of Movable Door Modules (Manual Layer, Automatic Layer and Inflatable Vertical Tubes) and 2 types of Fixed Door Modules (Fixed Layer and Fixed Structure). Guaranty: 3 years full guaranty (incl. assistance and training at first buildup). Internal space: free internal space with no obstacles like construction walls or pillars. Life span: over 10 years. Modular: BUILDAIR structures can be enlarged whenever needed (e.g., to accomodate more aircrafts positions). Portable: Due to the inflatable typology, the structures are very light and cheap to be relocated, and can be packaged within a few containers / pallets, easy to move by truck, ship or plane. Reliability: safe and reliable, stands up to wind force 12 bft (construction is made to 150 km/hour). Set-up process: From 1 day for small helicopters shelters, up to 3-4 weeks for the largest commercial aircraft hangars. Surface: can be build on any surface. Please contact us at parts at nedaero dot com for a quotation or get information about the complete product range. NEDAERO represents an extensive number of suppliers.